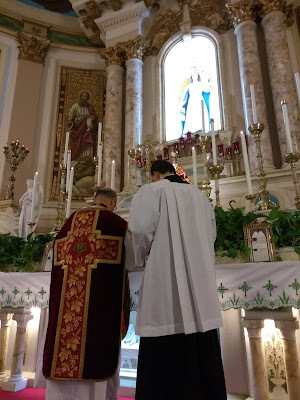 We have received unsolicited photos of a few different events over the last couple of weeks, enough to merit a photopost, (and give me chance to clean up my inbox a bit as well.) 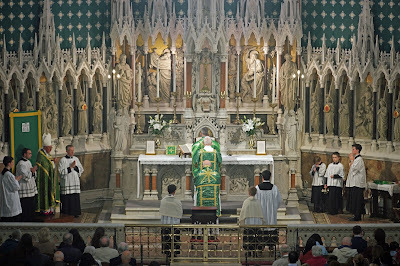 We start with four celebrations in thanksgiving for the tenth anniversary of the motu proprio Summorum Pontificum coming into legal effect. 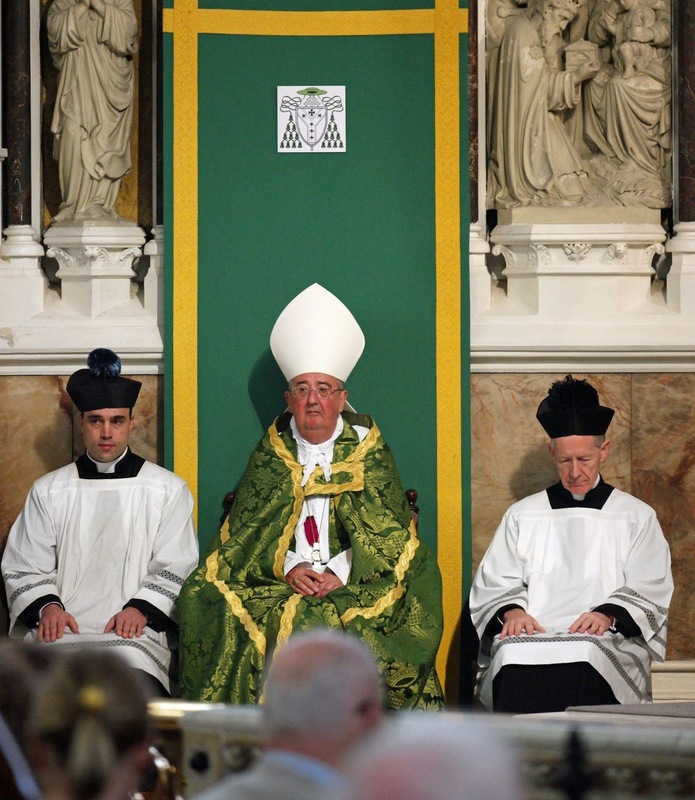 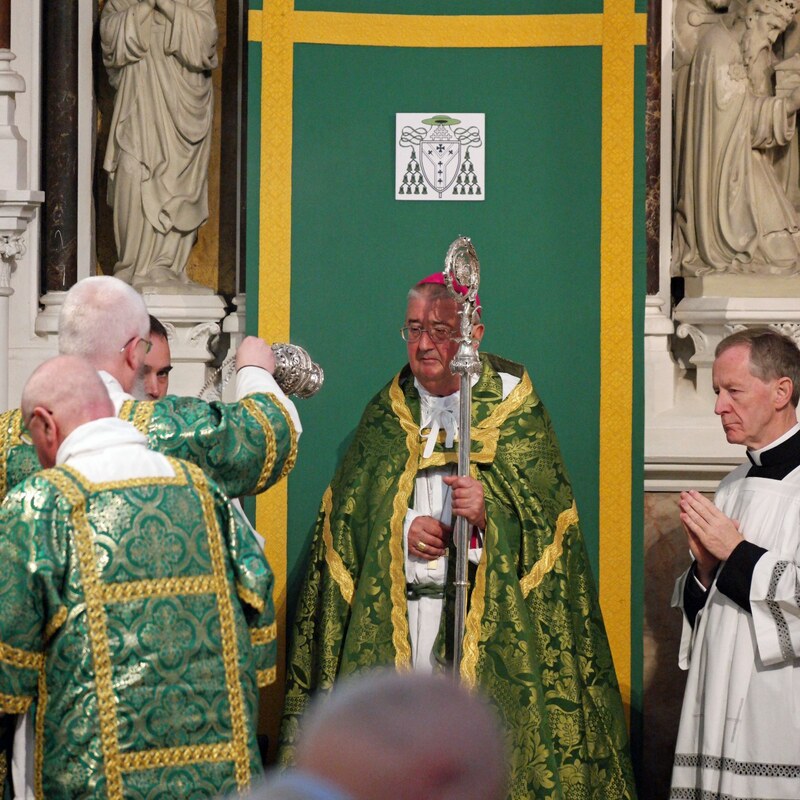 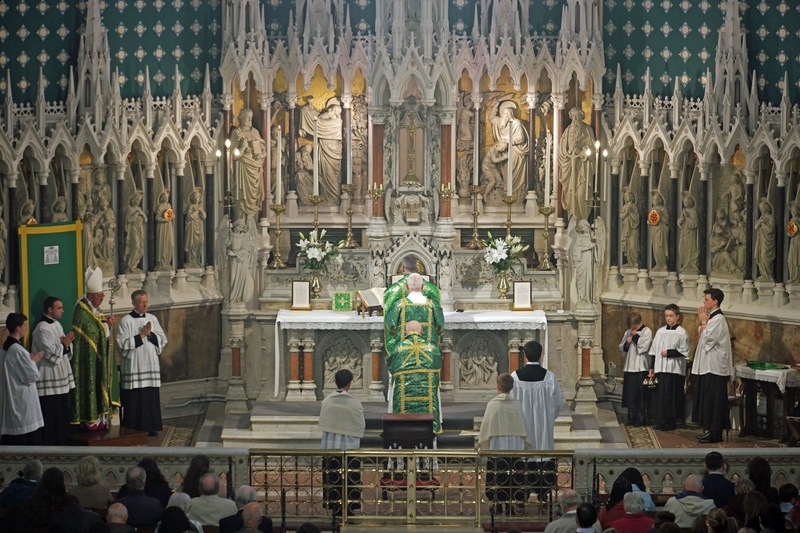 The first is a Solemn Mass celebrated in the presence of a Greater Prelate, His Excellency Diarmuid Martin, Archbishop of Dublin, Ireland. 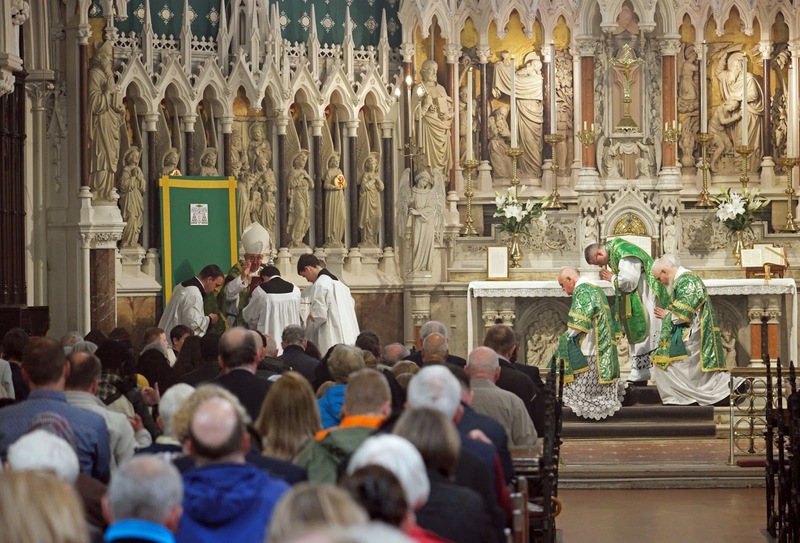 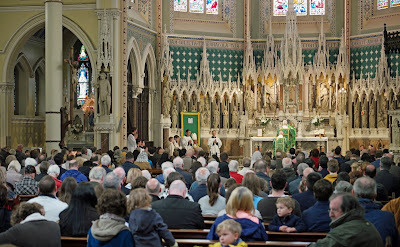 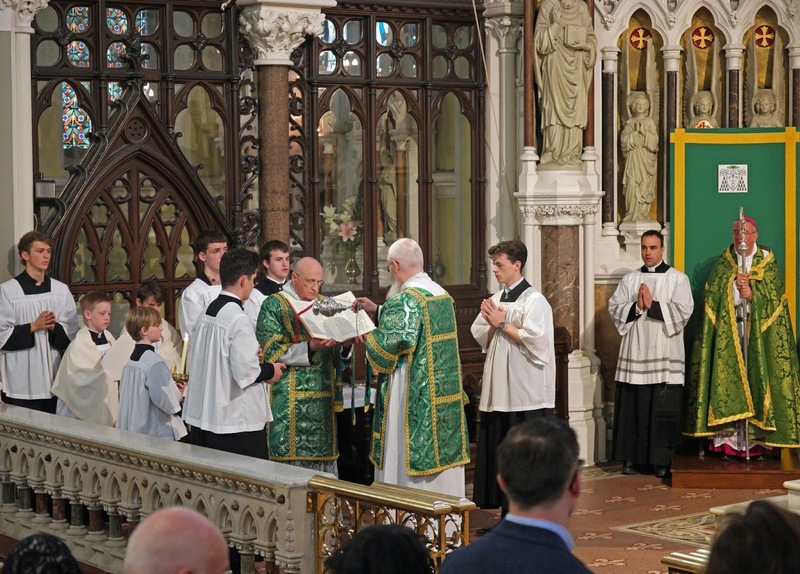 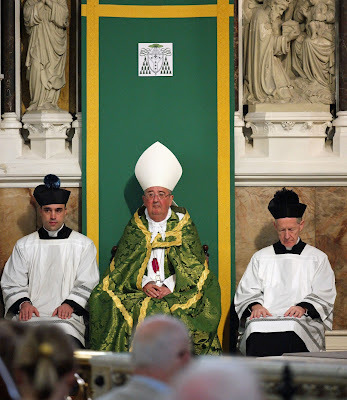 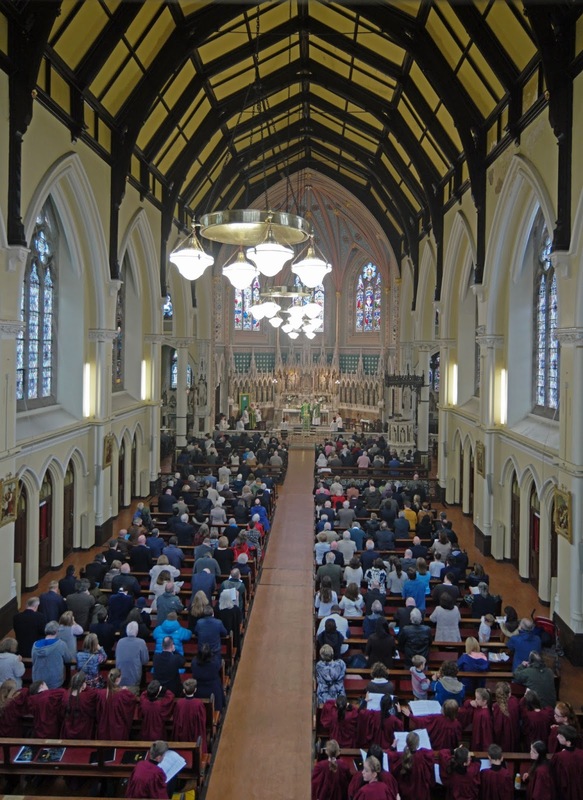 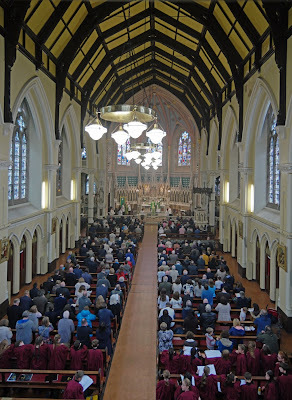 These photos were taken by Mr John Briody at St Kevin’s Church in Dublin, home of the archdiocese’s Latin Mass Chaplaincy, on Sunday, September 24th. 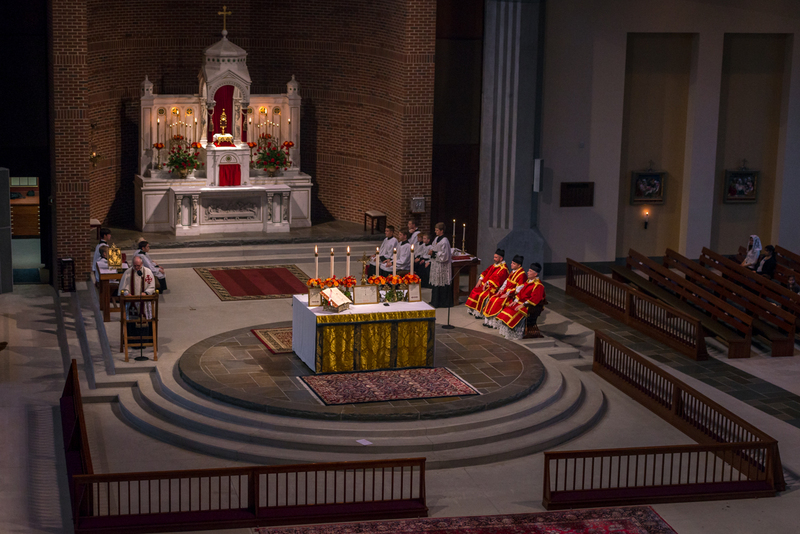 The music was provided by the Lassus Scholars, Piccolo Lasso, and the Orlando Chamber Orchestra, all under the direction of Dr. Ite O’Donovan. 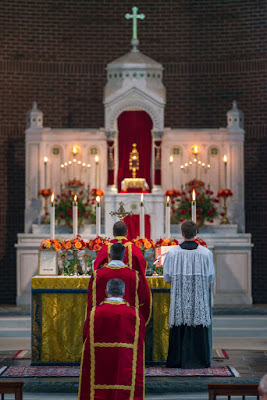 Yes, tradition is still for the young! 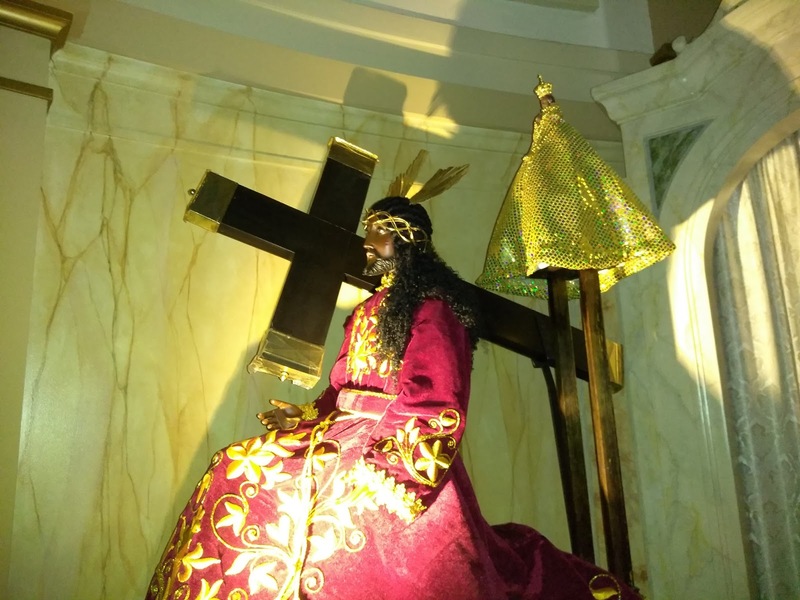 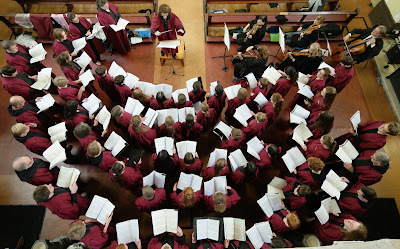 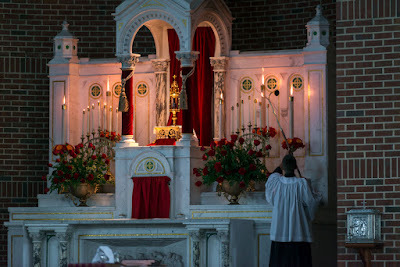 Sung Mass of the Exaltation of the Holy Cross, followed by the Te Deum. 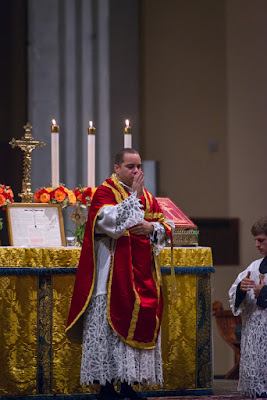 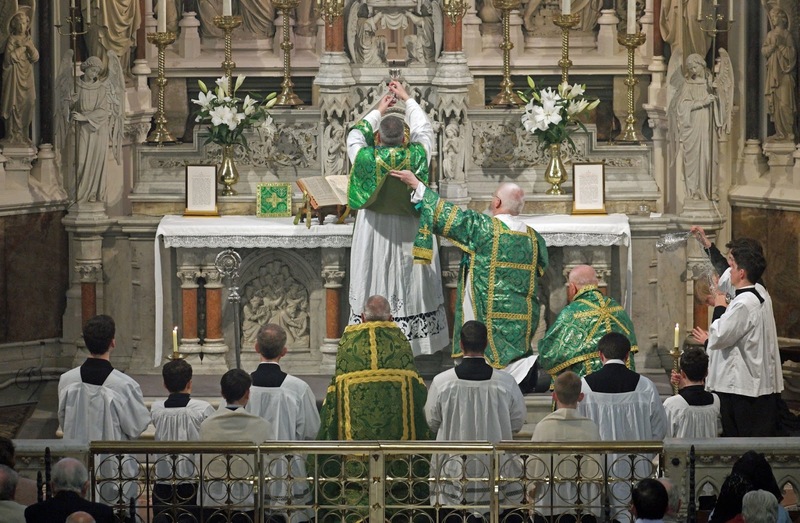 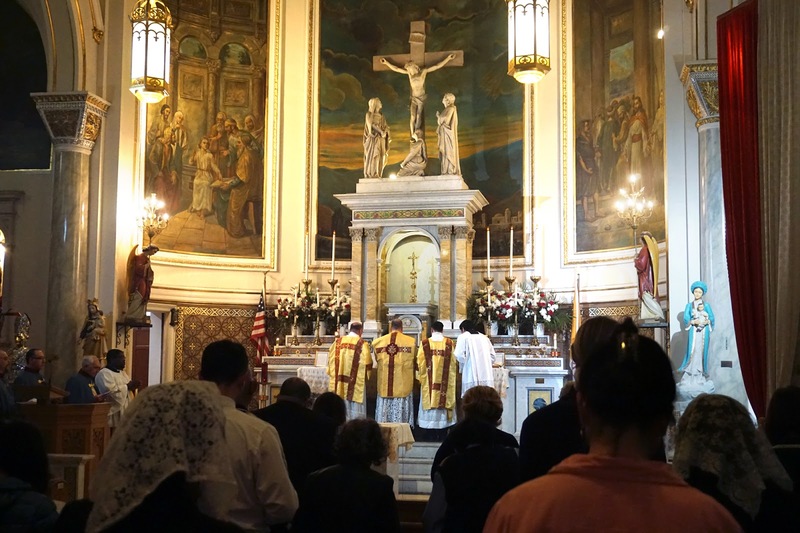 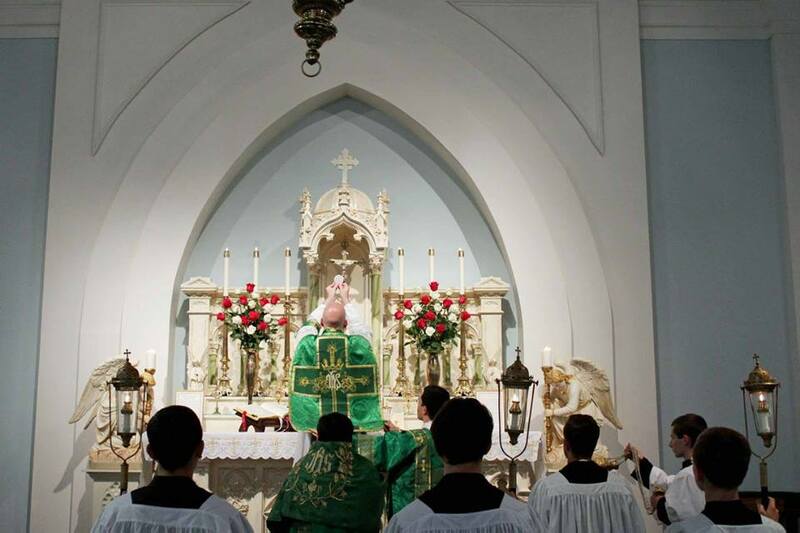 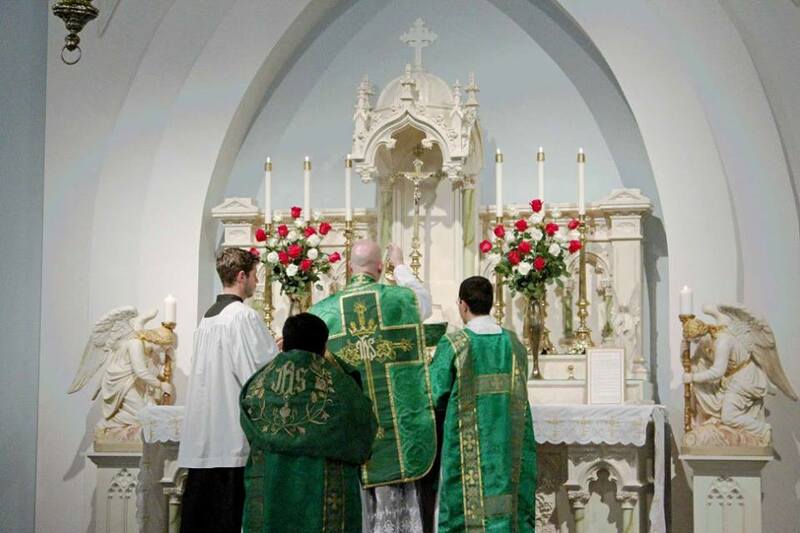 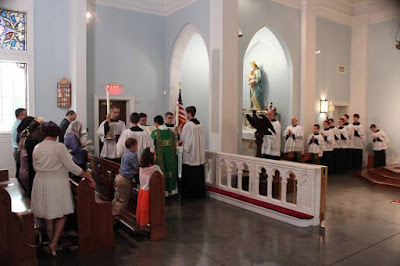 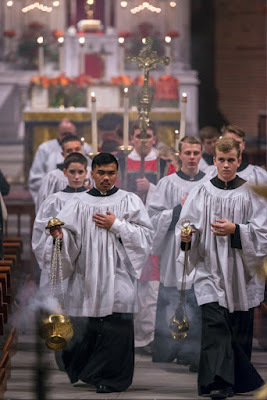 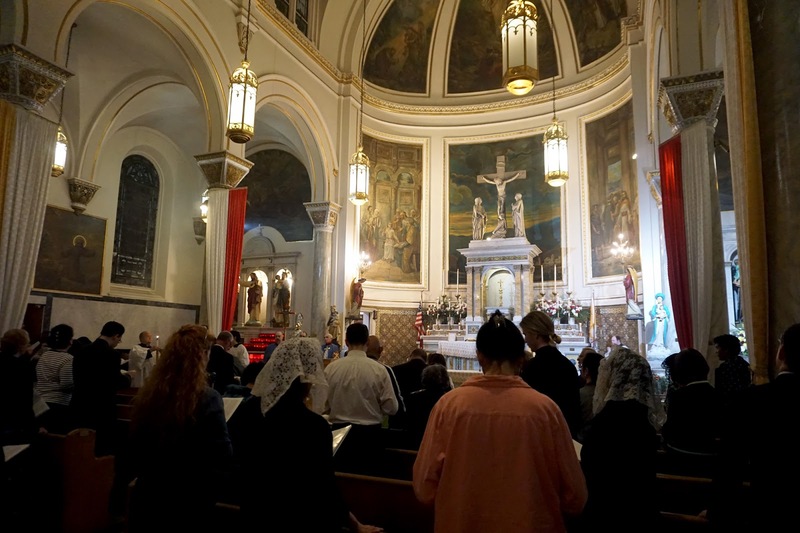 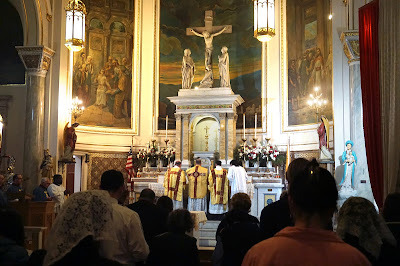 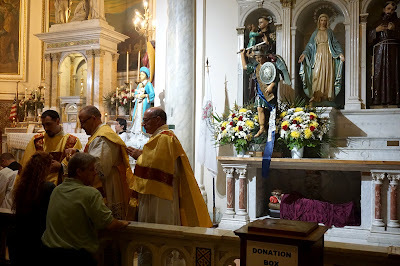 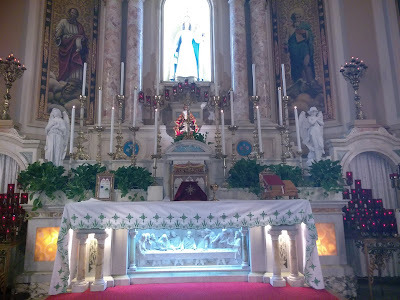 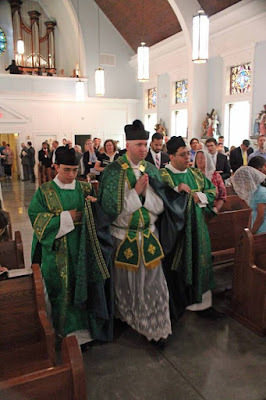 Solemn Mass for the feast of St Michael and All Angels, sponsored by the Sacred Constantinian Military Order of Saint George and the Circolo delle Due Sicilie USA. The church welcomed for solemn Mass on the 15th Sunday after Pentecost three priests who discerned their vocations there: Fr Philip Johnson, a priest of the diocese of Raleigh, North Carolina, ordained in January, was the celebrant, Fr David Franco, FSSP, the deacon, and Fr Robert Schmid Jr., also of the diocese of Raleigh, the subdeacon. 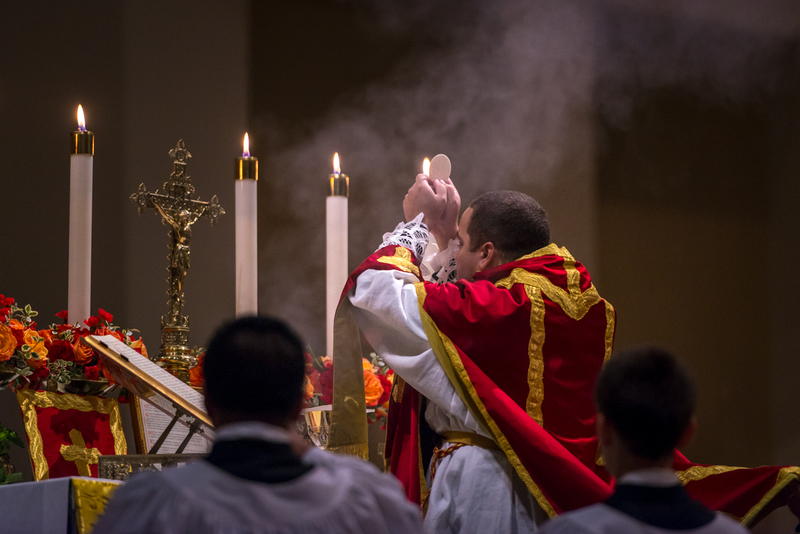 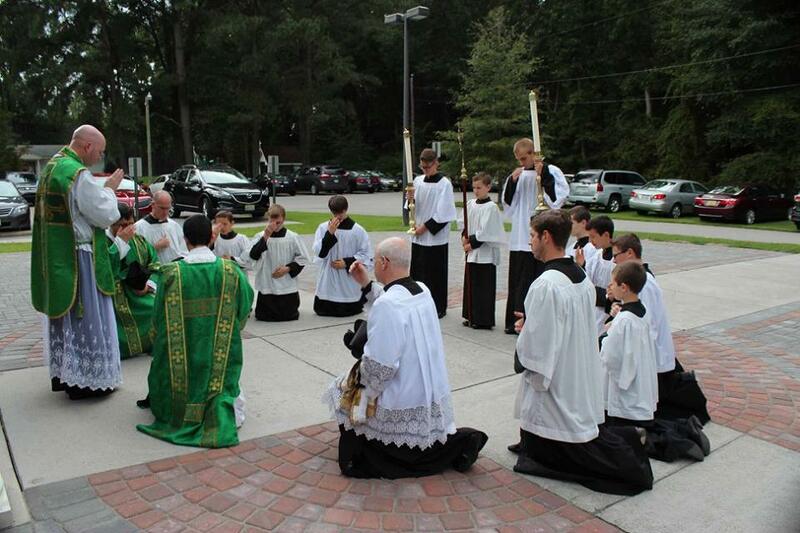 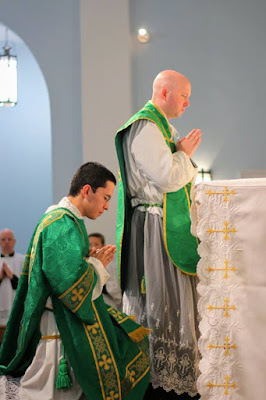 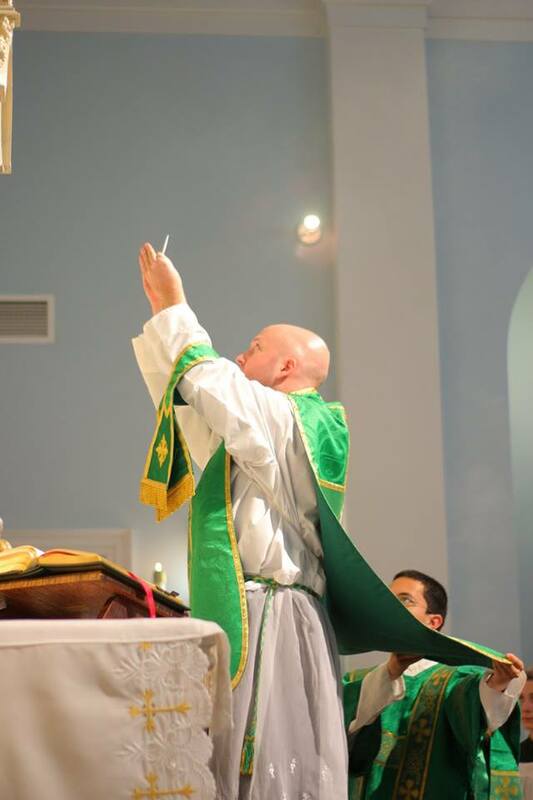 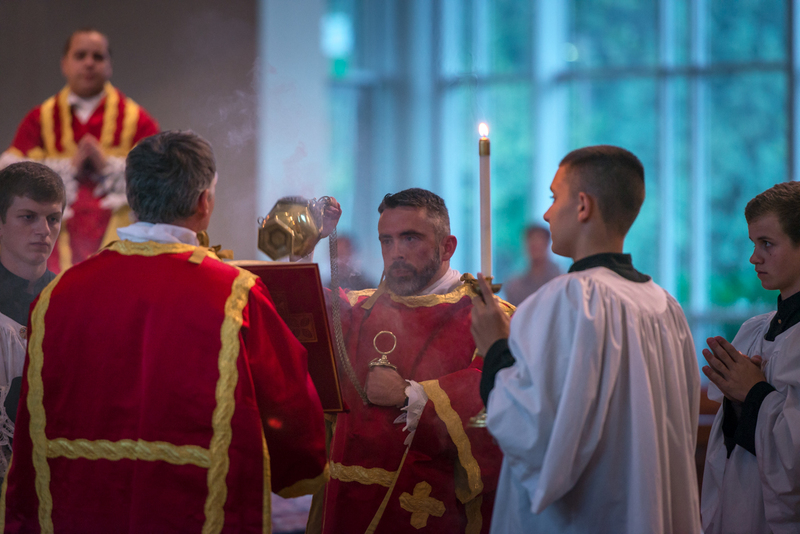 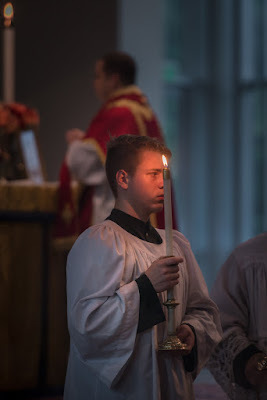 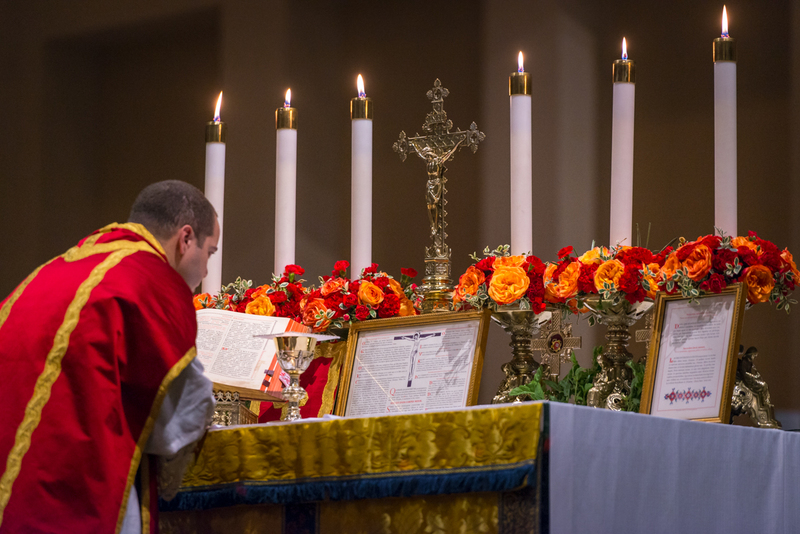 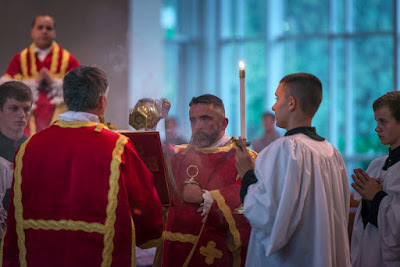 It is an important part of the work of the Ecclesia Dei institutes not only to celebrate the traditional liturgy, but also to train diocesan and other religious clergy to celebrate it as well.